Become the speediest Superhero on earth with this deluxe costume! Muscle chest red bodysuit, belt, and headpiece. Large fits child sizes 12-14.Become the speediest Superhero on earth with this deluxe costume! Muscle chest red bodysuit, belt, and headpiece. Toddler size 2T-4T.Become the speediest Superhero on earth with this deluxe costume! Muscle chest red bodysuit, belt, and headpiece. 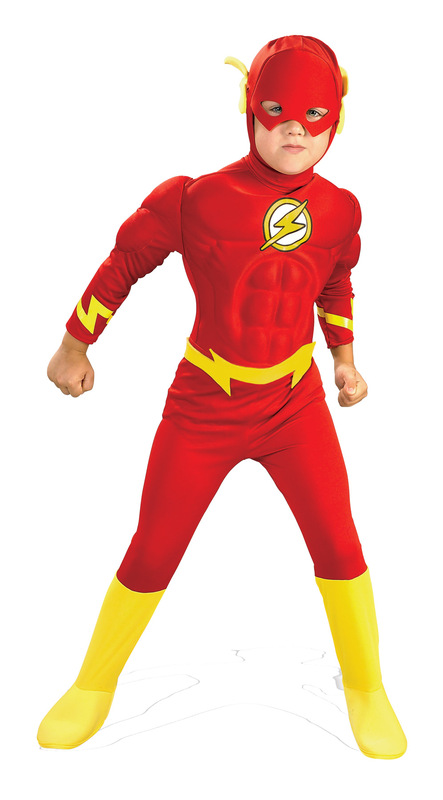 Child size Small 4-6.Become the speediest Superhero on earth with this deluxe costume! Muscle chest red bodysuit, belt, and headpiece. Child size medium 8-10.